The industry is facing a problem – the costs for newer treatments and costs continue to increase rapidly. It is good news to know that population is living longer and that new, better treatments are available. However, there is the problem with the gap between taxes to pay for health care and the costs for it. The two obvious choices to this dilemma – it is either to pay more tax or to cut the healthcare services. But of course, there are other options such as developing a healthcare service that is more efficient than before. For the third option, the answer probably lies in the technological advancements in today’s healthcare. For instance, there is the virtual clinic and telemedicine. It is part of the innovation and technology that, if used the right way, can empower healthcare professionals and patient s. Its greater use will give providers the ability to produce higher quality health for everyone. Today’s patients often turn to the internet when looking for the best healthcare option. Telemedicine offers patients and consumers with flexibility and convenience in accessing care. Virtual clinics cater to these patients’ needs by providing initial discussion and advice. Findings on an analysis of the state of today’s healthcare show that a significant percentage of respondents would not have gone to get urgent care if not for the virtual clinic service and telemedicine. Through this service, health systems are given the opportunity to capture the market share. Telemedicine and virtual clinic also give them the chance to mitigate costs as well as counterbalance bad debts. With a virtual clinic, the health system has digital front guiding patients toward the best place to provide the right care at the time of their need. It clearly shows the advantage that virtual clinics offer. Most patients or consumers seem to be interested in virtual care if it is their local healthcare provider that offers them. It is because they feel more comfortable with a brand they recognise and trust. As a result, there are a significant number of newer health system providers that aren’t given the opportunity to build a relationship with patients. Patients use virtual clinics as an affordable and convenient option for health care than with urgent care. With that, a significant percentage of patients would turn to urgent care if there isn’t a virtual clinic. Many patients using the services of virtual clinic learn of its existence when they search online looking for care. 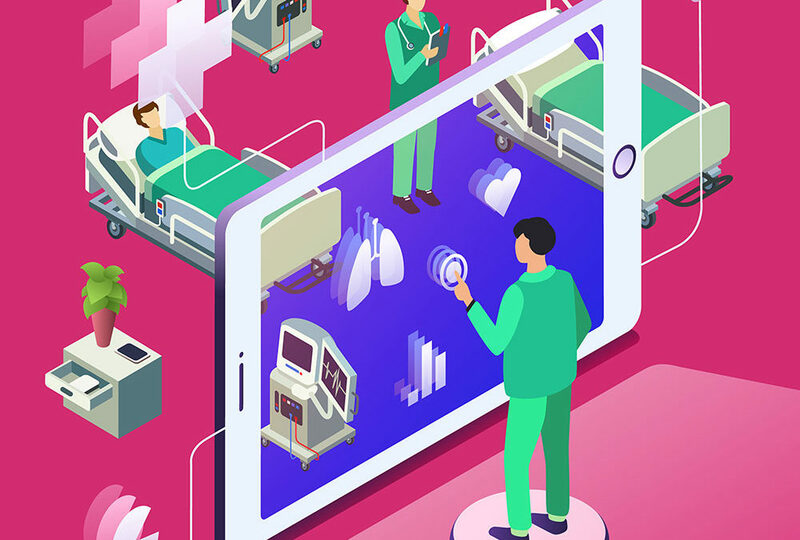 Many providers are already utilizing virtual clinics to connect with patients and consumers digitally. With digital engagement, health systems have the opportunity to meet the patients’ needs in a value-based environment.